So easy to open & pack down. 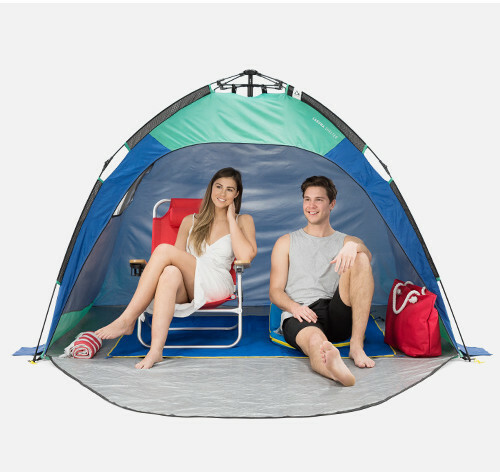 If you can’t stand the heat, head to the beach with the Laguna Sun Shelter! There are mesh windows for a lovely breeze and a super easy up mechanism. Auto Ezee shelters provide easy access to shade without the “having to thread poles” frustrations. We’ve been there, it’s no fun!